Craftster Community > FIBER ARTS > Spinning: Discussion and Questions (Moderator: PerfectlyBohemian) > favorite fibers? I was just wondering what everyone's top 3 favorite fibers were? I've only been spinning for about a year and I know I usually cheap out and go for BFL or Corridale because I know I like it and it's reasonably priced. I really want to try some bamboo or some tencile, but don't know what I would make with something so shiny. I've been eyeing up this batt forever and it has to be my next purchase. http://www.etsy.com/view_listing.php?listing_id=9004465. I think that she is brilliant and hope that some day I will be able to make batts as nice as hers. oh and anything with cashmere is devine. I used to cheap out on wool as well, but I am REALLY hooked on merino now. SO much softer. Also, I spun some of this Ashland Bay roving that was 70% alpaca and 30% silk, and it was a dream. No predrafting necessary, it just flew off my fingers. I find tencel, bamboo, cotton etc annoying to spin because I very much dislike short staple length. Interesting. I always heard everyone raving about bamboo and tencile. I guess you would want to blend it with a longer fiber. I just spun mohair last week for the first time and I found it annoying at the start because it was so slippery. Once I got the hang of it, I really enjoyed it. And I am so pleased with the final product. It's so soft and silky. I always thought mohair was slightly ichy, but this stuff is like butter. Tencel has a long staple length. To the point that it's sometimes hard to draft because it's too long and the fibers like to stick together. At least, that's how all the tencel I've spun has been. Bamboo doesn't have a super long staple length, but it's nowhere near as short stapled as cotton. It's probably similar to merino in length, maybe a little longer. I also love blending different textures together - like bamboo with wool or cotton. I'm also a big fan of wool, of course! My favorites wools right now are: BFL, rambouillet...eh, who am I kidding, pretty much ANY wool. I just bought a 1/2 lb of merino, a 1/2 lb of Corriedale and a 1/2 lb of Coopworth. I'm very excited to start spinning them. My favorite fibres are usually undyed wool or undyed silk. There's something about undyed fibre that's so lustruous and beautiful! I am spinning that batt right now and it's FANTASTIC!!!! It's so soft and it's subtly shiny.. it's not like vinyl shiny. Also.. the drape is amazing! I love steph's stuff!! Can't wait for my first installment of her batt of the month club! My favorite fibers are bamboo, merino, and alpaca. 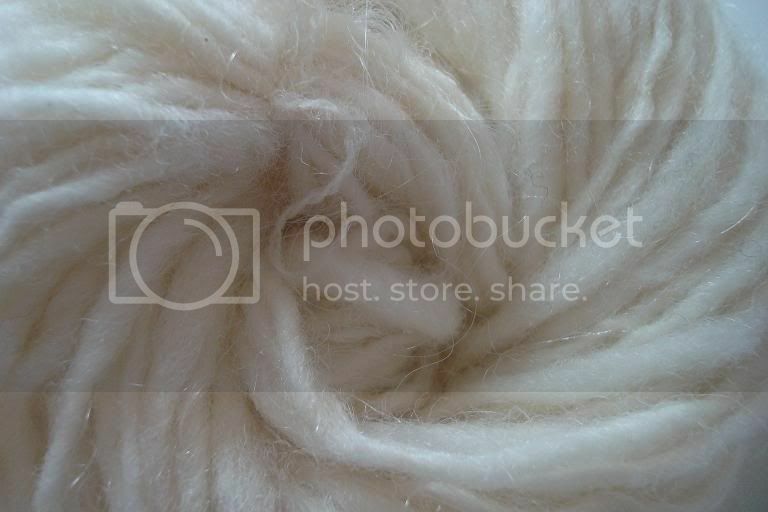 Targhee - Amazingly soft, feels like marshmallows even when tightly Navajo plied. Border Leicester - Beautiful; I love the shiny curls. Shetland - It's soft but very sturdy and the natural colors are gorgeous. Oh I just looove Merino/silk, to me this mix has just got it all! It can only be topped by cashmere/silk, but the first is far more affordable. In wools I love a soft Merino and am also stunned by Targhee, but have only been able to spin it once as it is very hard to get in Europe. In fancier stuff I enjoy spinning (Huacaya) alpaca and would love to spin more milk protein fiber, but it is *very* expensive.